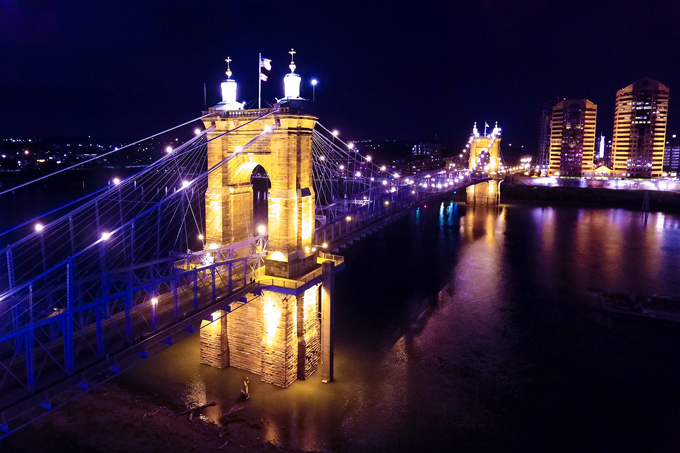 Cincinnati is one of the most underrated destinations in the U.S. It doesn’t make travel mag best-of lists. It doesn’t get featured in films. It doesn’t have mainstream celebrity chefs. And that is exactly why you should visit. The Queen City is an architecture-lovers playground. The Roebling Suspension Bridge was the prototype for the Brooklyn Bridge. As a kid, I used to splash around Serpentine Wall pools — long before the bright lights and colorful fountains of Smale Riverfront Park illuminated downtown. I shot this short travel film in October 2016 in my former hometown. See my five favorite neighborhoods in Cincinnati. Have you been to Cincinnati?